When most people think of losing weight, they see it as a huge list of foods you cannot eat and a long list of exercises that you must do every day as you carefully calculate your calorie intake to make sure that you’re on track. However, the truth is that by doing these 7 things, you can lose weight without even trying! 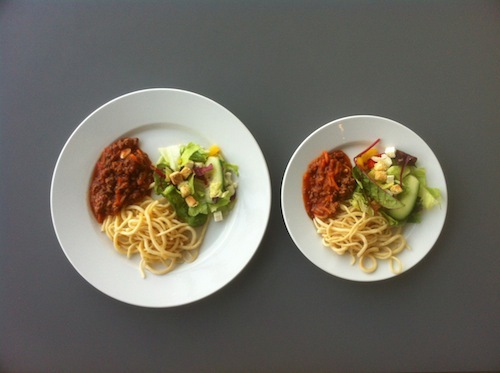 By using smaller plates, you will automatically eat less because you won’t be putting as much food on your plate. A recent study revealed that people who switched to plates that were just 9 to 10 inches in diameter were able to lose 18 pounds in a year!